A water pressure regulator protects your plumbing system by ensuring that the pressure in your pipes is the correct amount. 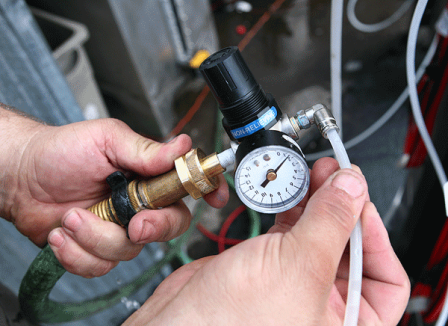 This regulator must be controlled to keep the water pressure at the correct pressure. Should this water pressure be too strong, it causes leaks. On the other hand, if the water pressure is too low, water does not enter the property at all or very weakly. Many properties have a low-pressure taps and showerheads to conserve water. This allows the water to flow at a slower rate. To check your water pressure, you will need a bucket, a tyre gauge and pump. Firstly, you need to drain all the water from the hot water tank. Simply place the bucket under the faucet (this faucet is at the bottom of the tank). 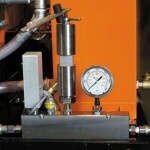 Should the reading not be in the 20 PSI area, use the tyre pump to increase the pressure in the tank. Now set the low side pressure by opening all taps on the property. 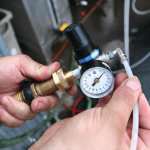 Allow the water to run until the pressure on the gauge shows up to 50 PSI. Start the water pump and re read the pressure on the gauge. 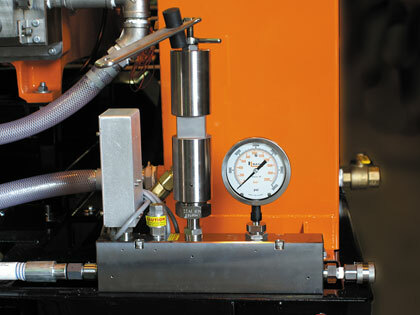 A good reading should be between 43- 50 PSI. When you decrease your water pressure in your home/property, you will save water and on your utility bill each month. Increasing the water pressure can cause damage to older pipes and fittings should the water pressure be too strong. Best to contact us on our 24 hour plumbing line to help you with your water pressure!